Finding fun activities for the kiddos is always a challenge when they are home all the time (this could apply to winter/summer breaks too.) My kids want to be busy and I want them off the electronics so I value a family friendly activity that serves both purposes. 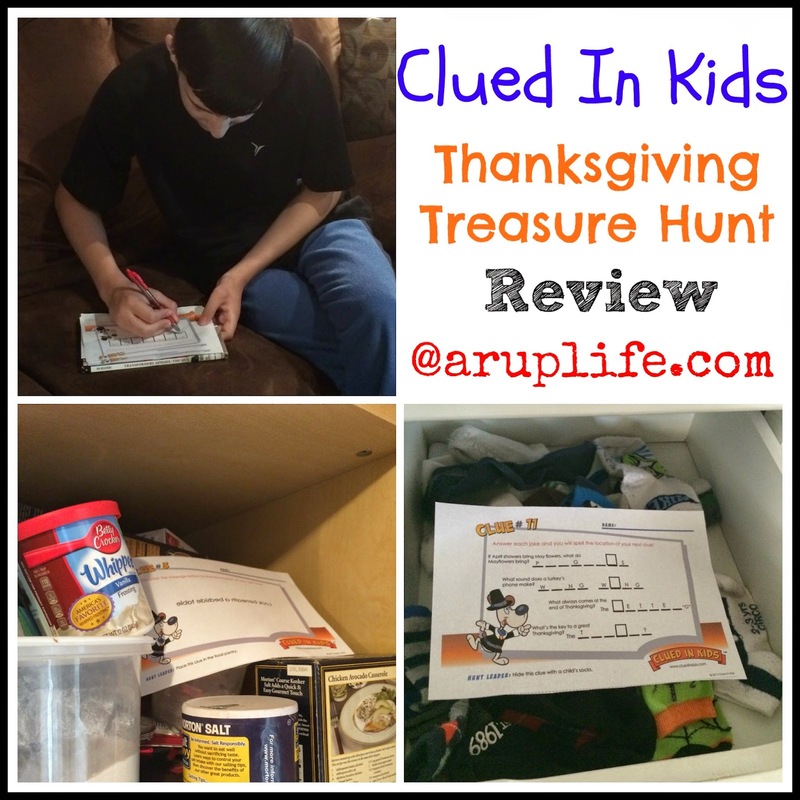 Clued in Kids is a treasure hunt that you do at home. Age Range: This product is recommended for ages 4 and up! We received two products and both of them were holiday themed. I figured since they were Thanksgiving and Christmas this was the perfect time of year to have some holiday fun! We of course had to go in order and start with Thanksgiving. To set up first I had to print the PDF. I choose to print it in color even though typically I print everything in black and white because the pages had beautiful colors and I wanted the kids to enjoy that part. The hunt took maybe 5 minutes to set up. You cut out the clues and then hide each one. Then you hand the first one to the kids to run off and find them. My kid's ages are just about 4, 12 and 14. I knew that all the kids would have fun but I was even surprised at how much the bigger kids enjoyed this! They helped our little guy rush about the house after they solved the clues and told him where to look. He was excited to be included and be able to find them. For our 'treasure' at the end I had a special lunch planned - which was a hit. 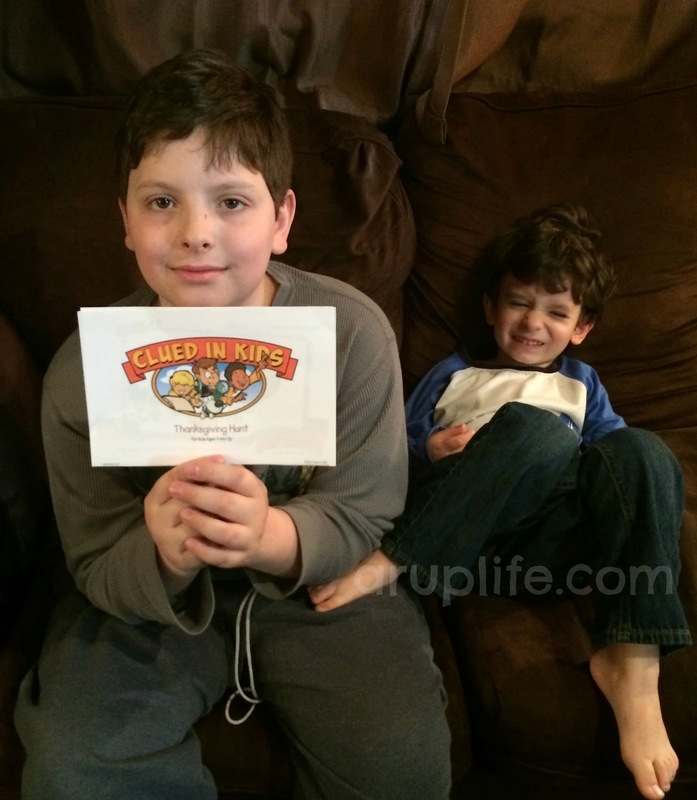 We had a blast with this review! Both products were easy to implement and a lot of fun to do! My big kids even asked to see what other hunts there were so we can do another one in Winter. With them being on the older side I think that is a real testimony to how much fun they had. I liked how easy it was for the parents. Each card had the location to hide it on the card. It took literally no time to set up and took them a good 30 minutes to complete. *IF* Clued In Kids wanted to make a longer or extended hunt I think my kids would be over the moon for that! 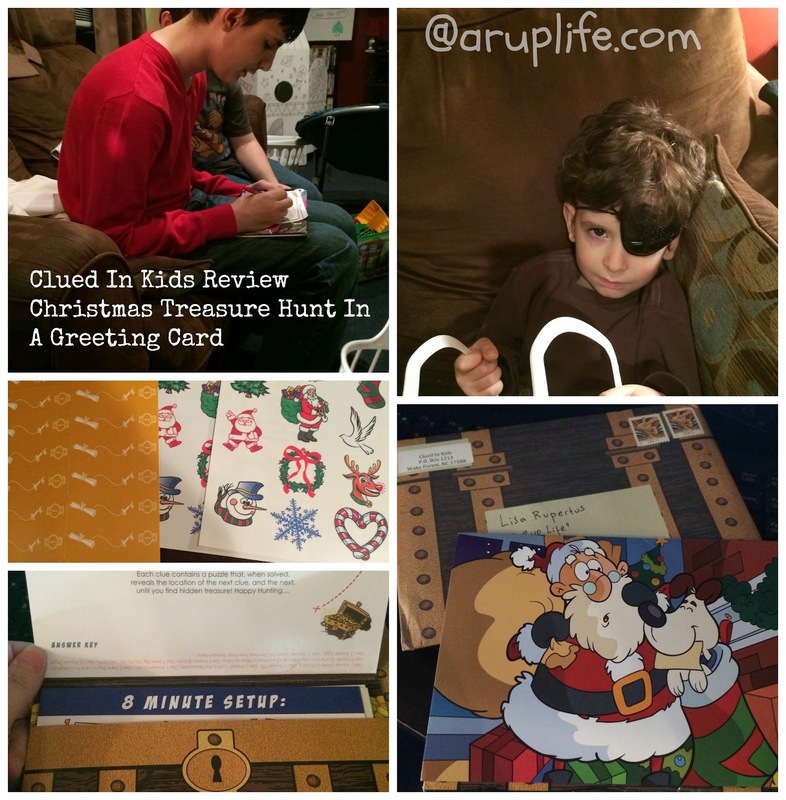 I think the Christmas Hunt in a Christmas card is a great gift idea! What a fun idea for Grand-mom or an Aunt to send to a kid! I know my kids love mail so I could see this as a great little thing to send!